Can Countries Devalue a Currency Anymore? QUESTION: What is ‘modern day’ currency devaluation? They just never taught this stuff in school and money is such a basic foundation. You are truly an inspiration and a guiding light on the horizon. ANSWER: This has evolved into a new interesting topic. It is the problem with Bitcoin. 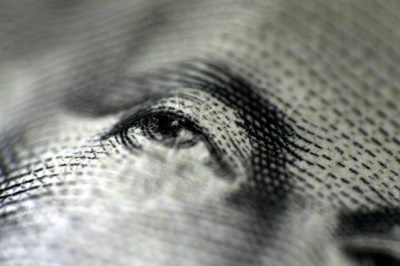 People do not understand money is only an economic language – nothing more. 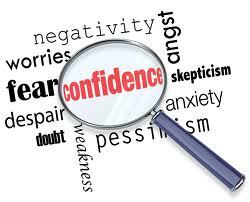 The value of any currency is purely CONFIDENCE. 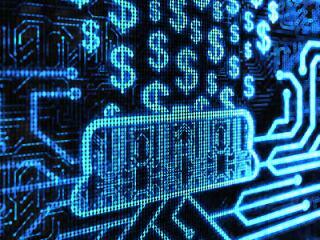 Those who think they can create their own crypto-currency are living in a dream world. First they assume that they can take power away from government who has the capacity to turn off the electricity and send in the tanks. These people fail to even understand that it is not the currency that is the problem. It is fiscal mismanagement by government promising huge pensions and never funding them. Changing the currency will not prevent that crisis. Those who also think they can conduct business in their crypto-currency tax free will see how they get wiped out. The IRS files charges retroactively. They did that to the tax straddles in the 1980s wiping out people with huge fines and penalties. Secondly, the value of a currency is purely CONFIDENCE and that is backed by the TOTAL productive capacity of the people. Japan proved that to be true. Compare them to France where 50% of the youth just want to get out. French unions kidnap the CEOs and their family if they do not get their way. Who in their right mind wants to set up a business in France? This goes to the heart of the question – what is a currency worth? Devaluations of the 1930s were rather plain-vanilla. The currencies were pegged to gold. The Asian Currency Crisis took place because of pegs. The British pound sterling collapsed on Black Wednesday referring to September 16th, 1992 when the British Conservative government was forced to withdraw the pound from the European Exchange Rate Mechanism (ERM) after they were unable to keep it above its agreed lower limit. We will see the same crisis hit the Swiss franc peg to the euro. Devaluations take place BECAUSE currencies must be fluid. They must rise and fall with the ebb and flow of capital. 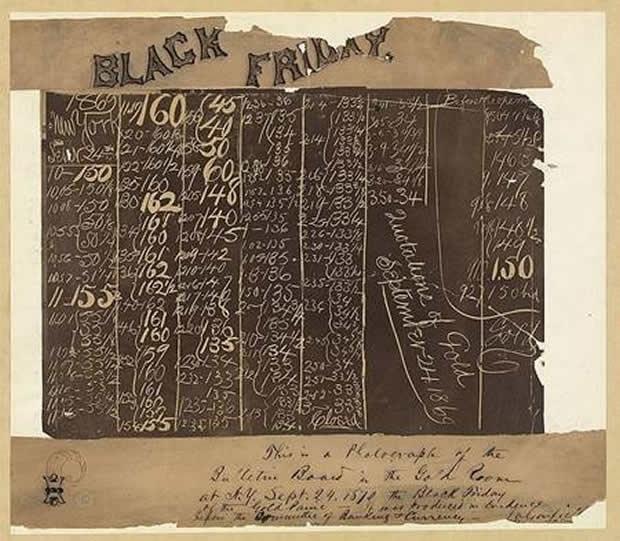 The dollar floated during the Civil War when it acquired its name the “Greenback” because there was no interest attached and no redemption into gold. Therefore, gold traded on the NYSE, but it was not really gold. It was gold traded in Greenbacks. Therefore, it was really the rise and fall of the Greenback expressed in gold. Here we have the rise and fall of the Massachusetts colonial currency expressed in British pounds. There is always a free market no matter what period we look at. This is simply the way it is. Those preaching $50,000 gold do not even understand what they are saying. They hate the dollar, yet can only translate their concept of value in dollars. There is no actual devaluation that is “official” under a floating exchange rate. The markets devalue the currency steadily through the process of inflation that need not be even deliberately created by government. Meat prices are soaring because of shortages. If the problem with food becomes systemic, then like oil it will filter through the system causing cost-push inflation rather than demand-inflation. 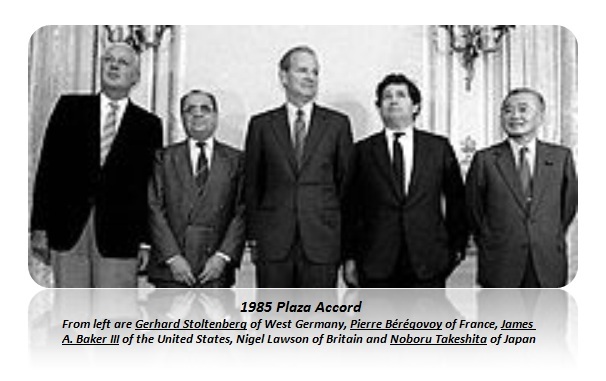 This inability for government to directly devalue its currency under a floating exchange rate system is why they created the G5 in 1985 at the Plaza Accord to force the dollar down on world markets. It was NOT possible to simply declare a currency is worth less today than it was yesterday on an “official” basis. What is the currency suddenly devalued against if there is no fixed relationship? Currency value is in reality a right for the entire world to publicly vote on the performance of a country – INTERNATIONAL CONFIDENCE. If the CONFIDENCE in a government collapsed, the currency would collapse before the government even could devalue assuming they could do so. Capital always moves in anticipation. 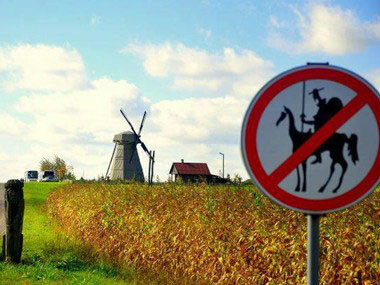 Those looking for the crypto-currencies fail to grasp the daunting task and why they are just fools fighting windmills. They would have to CONVINCE everyone in the world that their new currency is valid. Good luck. You cannot even get Congress to agree 100% on anything. Even if they were successful, who would determine the value of the currency? Them or the free market? You would end up with same system we have today – the floating exchange rate system because people are not robots and we have mood swings that will be reflected in the value of the currency. There is ABSOLUTELY nothing that does not fluctuate creating a cycle. This is simply the divine design of everything. So what is the outcome? The only possible resolution will be a DEFAULT, but not on the currency, on the outstanding liabilities that are EVERYWHERE in EVERY Western economy with Europe at the top of that list. Therefore, what will happen is a default. Politicians will be forced out. The question is how? Will it come with a bloodless revolution? Or will the military fire upon the citizens of their own country? History shows it can go both ways. What took place during the fall of the Roman Empire offers another warning that we are seeing with the unions. 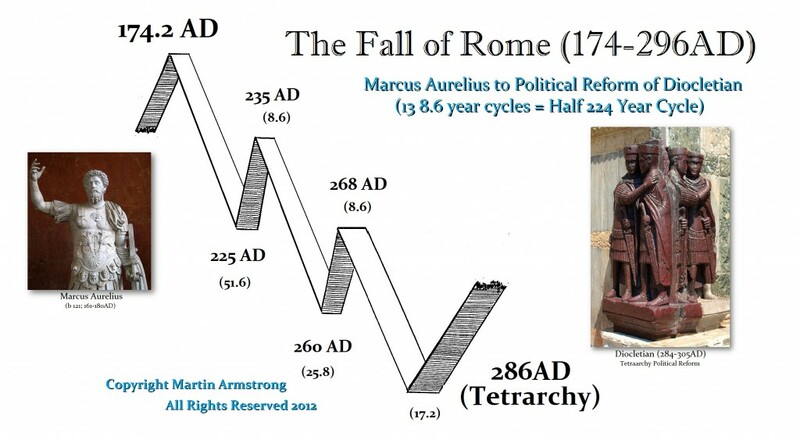 There were precisely 4 x 8.6 emperors from the fall that followed Marcus Aurelius’ death in 180AD until the bottom in the collapse of the currency. How can there be 34.4 emperors? Septimus Severus had two sons, Caracalla and Geta. Caracalla killed his brother while in the arms of his mother so he did not reign alone. This third result in Roman times was military pension that the troops began to raise and kill emperors all to be able to cannibalize their own country. There was no money for pensions. They then laid siege to cities that did not support their choice. This would be like New York engaging war on Chicago, taking everything possessed by citizens to pay the union pensions in New York. Rome destroyed itself and THEN the barbarians came into the gates. We are seeing public unions demanding tax increases on other people to pay their pensions. This is the very same cannibalization process. Here are the seeds of our own destruction. They must rob the people to pay for government workers because politicians promise everything but commit fraud upon their own workers. Today it appears that we will first eliminate the paper currencies and move to a new electronic version to make avoiding taxes impossible. Hence people will flee to tangible assets and the velocity of money will decline taking the economy with it. That will most likely then result in civil unrest/war and then we will see a new type of Bretton Woods rebuilding the global economy adopting some new electronic world reserve currency. I have written about the 224 years cycle and my discovery of the 8.6 year cycle stemming from 26 of these cycle within that major cycle. All historians agree that Rome peaked during the reign of Marcus Aurelius (161-180AD). That peak came in 174 and he raised his crazy son to the throne in 177 – Commodus. From that peak it was precisely 112 years to the political restructuring of Diocletian (284-305AD) with the creation of the Tetrarchy. 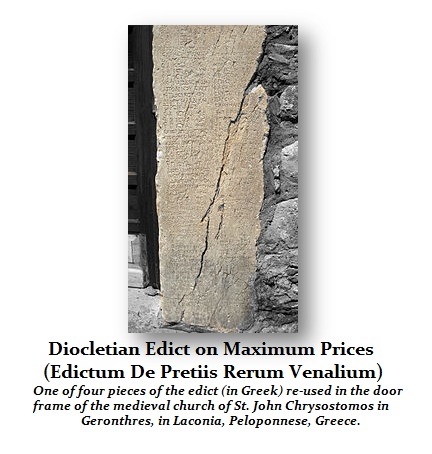 Diocletian was the first Emperor to retire trying to restore a political government avoiding the cannibalization process. Silver had vanished from circulation and Diocletian then issued a new denomination call the silver Argentius ( Latin meaning silver AR). This was like as if there was a collapse of the dollar and the birth of a new currency. Even the style of the gold was changed and marking noting pre- and post-reform. 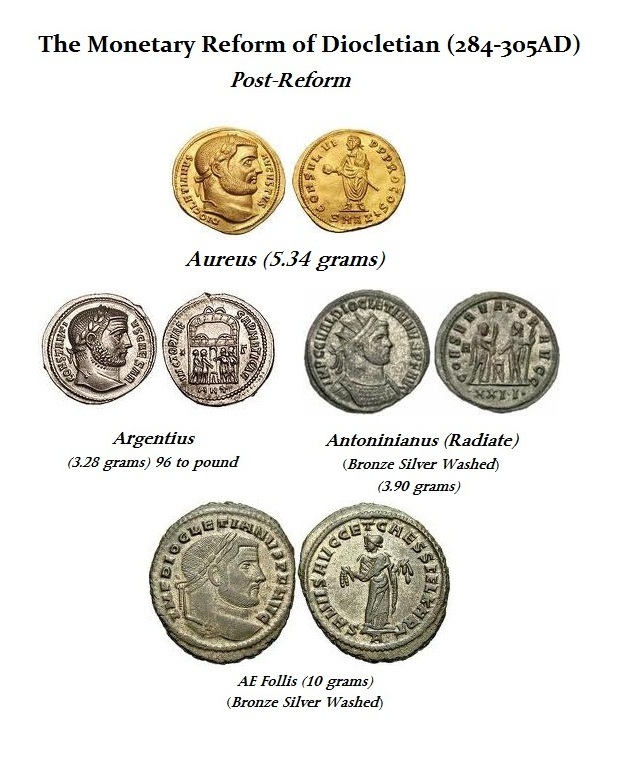 The Antoninianus was continued but was now worth much less than the Argentius. The bronze follis was introduced also with the silver plating. His monetary reforms were matched by wage and price controls as he tried to restore CONFIDENCE. He introduced passports prohibiting travel unless you paid your taxes. This is simply how it all unfolds. All we can do is rely upon precedent. This is not a guessing game with room for personal opinion or hope. Sure, we can be like the guy who gets married for the tenth time and displays incredible hope that triumphs over experience. 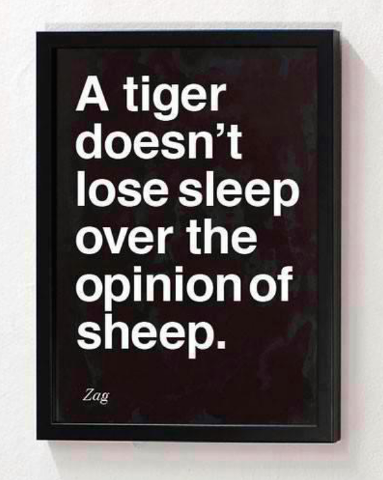 But quite frankly, history, like the tiger, loses no sleep over the opinion of sheep.